I am a Premium user and have used Evernote for many years. I love it, but I mainly use it to make text notes with indented bulleted lists for school and now work. I have had problems forever with my notes losing their formatting -- especially the bulleted indentations getting messed up. It is infuriating me. My notes are extremely important to me for every day use and I am so frustrated that I am considering switching to Microsoft One Note. Can you please tell me how I can avoid having the formatting on my indented bulleted lists getting corrupted? I use the web interface at work with Google Chrome and the Windows program at home. It just happend with me a few hours ago when I opened a note on the iOS-app. It opened with all bullet-points made into the solid black one, which wasn't the case originally because I had many sub-points applied, so it basically normalized the entire body of text. - Then when I simply closed the app on the iPad and moved to the web-browser it was still the same, so I just accepted it as a bug and decided to fix it manually. - HOWEVER, it didn't take any changes. It shows the "saving"-icon and I hit the 'Done'-button, but it doesn't save it when I re-load the same note. It just goes back to the messed up version. So I can't even really do much with it or trust it to even save my work. Heck, I'm afraid to do any more work because I don't know if it will even save it, or even open another note at the risk of losing formatting indeed. I am also affected by this and would like to know when it is solved. As a premium member I am also a bit disconcerted that when I checked the forum here and noticed others with the same issue there was no official responses or acknowledgments. This is not an obscure issue but a core part of the functionality! Avoid accessing Evernote from a browser - this seems to solve the problem but also removes one of the biggest benefits that is supposed to be included in Evernote. And there are still certain functions I have trouble finding in the app. .. adding dots at the beginning of the indented paragraphs so I can still function after the indent corruption occurs on that note. ... and more dots with each indentation. Hopefully my indentations in this post will remain intact so my message is clear. Very odd and a bit disappointing. I'm having the same issue. How to get this to Evernote's development team's notice? Same issue here. And what makes it worse is that, when I selected all the parts that I wanted to indent, all the content was LOST. I tried to UNDO it, but it didn't work either. Thank goodness I had a back up for that document, otherwise I would lose all of it. 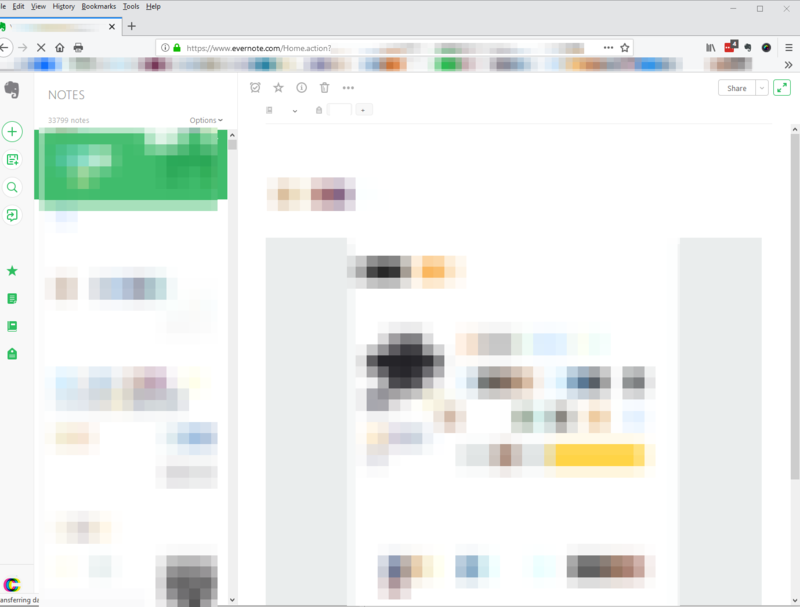 I've been having the same issue for a while now too in the web client using Chrome and it's starting to make me consider migrating off Evernote. It's just maddening trying to figure out how to fix the formatting errors. I already have it for years.... 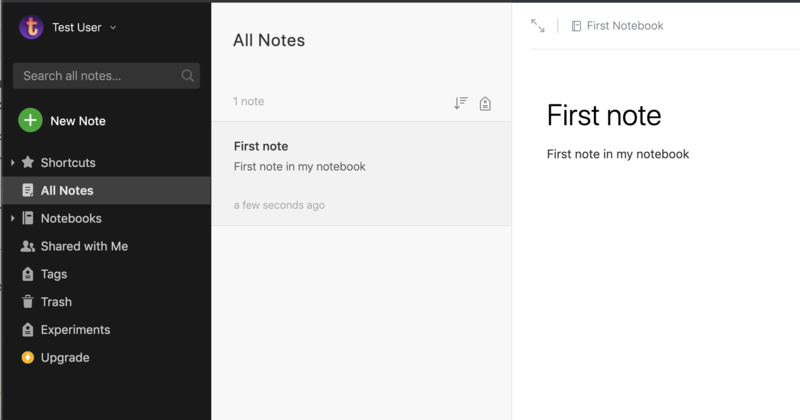 Since so many notes are in Evernote, I always hesitate to move to another solution. But since my notes get corrupted by this bug, I'm considering a migration. Hopefully the cause can be found and it is quick and easily fixed. I use Kubuntu Linux (so no desktop client available), and Firefox (for Ubuntu 63.0.3 64bit). For those affected, can anyone provide more details on how to reproduce? I'd be happy to push on getting this fixed ASAP, but I have never personally encountered this issue and can't seem to reproduce it. We do have some open tickets about indentation being lost when copying content into a note, but nothing I can find about indentation just randomly being lost. To recreate, I add the note on the Windows Desktop application and create my bulleted list. I then log onto my laptop and log into Evernote on Chrome. I edited the note there and when I returned to the desktop application, the formatting was lost. Let me know if you need any more information at this point. I have the same problem; both bullet and numbered lists randomly change formatting when switching between Android and the web interface (Chrome Version 72.0.3626.109 (Official Build) (64-bit) on Windows 7). Just create a list with some indendation and try going between the interfaces a few times, and the rows will have lost their indentation all of a sudden. Bullet formatting is and has always been complete garbage for me in browser-based evernote. 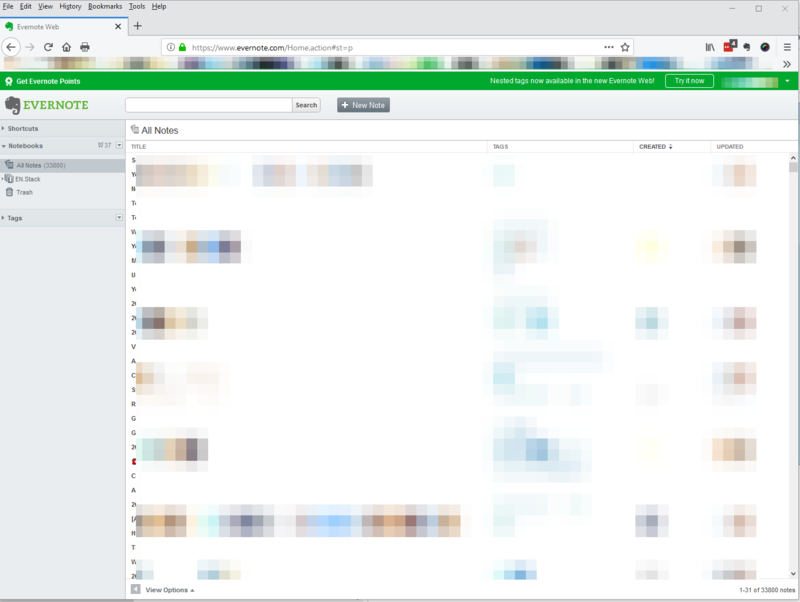 Bulleted lists constantly break for me, especially when switching between my phone, desktop, and browser-based evernote. The worst thing is that it's not even fixable -- once my bullets break, I sometimes can't even figure out how to unbreak them. I trust Evernote with my important thoughts, and I end up hand-typing the notes out of Evernote to undo the formatting nightmare that it has unleashed upon my work. 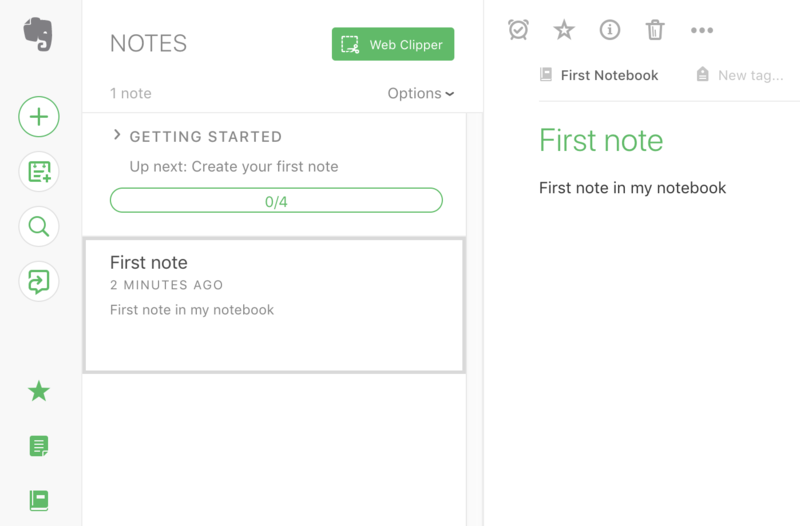 I want to like Evernote, I really do. I just don't know if anyone that works at Evernote uses it. It's almost unusable, especially if I have any nesting of my bullets. There's nothing like spending a week to prepare interview notes, then an hour before the interview, my complex, nested note becomes unreadable, unusable bullet soup -- then Evernote asks me to upgrade to a paid account! At least it's good for a laugh. @Scott T. -- the user reply immediately after your comment provides the exact steps to reproduce. It is VERY VERY simple to reproduce. Could you please provide a comment on the current status of this issue? There are many threads on this topic, it is a known issue for many users for at least a year. Thanks. @xfactoid I was unable to reproduce this with our current web client. Only after I switched to the old client was I able to see the issue. 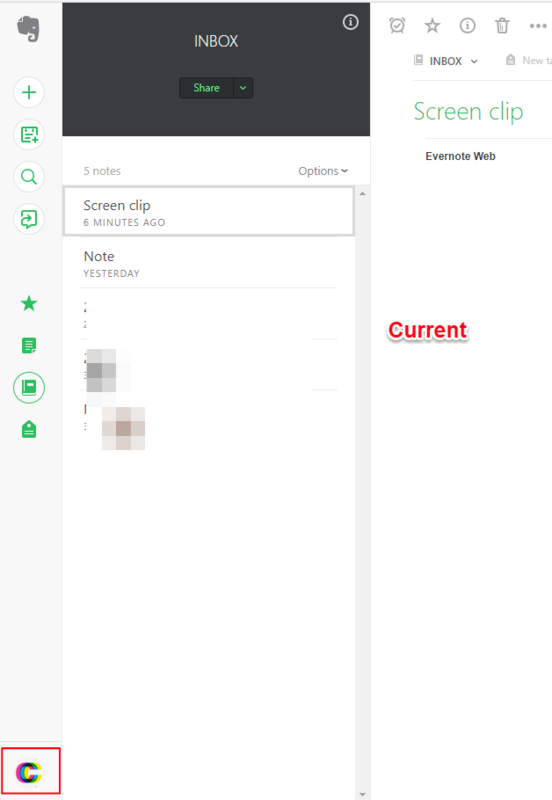 Please try the Evernote web client located at https://www.evernote.com/client/web and let me know if you continue to experience the same problem. Our development teams are currently working on major changes to our architecture and clients, including the editor, to address issues with stability and quality. These changes will also enable us to deliver many features that have been requested for a long time. The priority is moving forward with the newer clients and architecture, and not fixing issues in older clients. I definitely understand your frustration, however, and I will see what I can do to push for a fix. Our existing editor mixes content with how it should be rendered. I've been told that a client basically renders our ENML files (how notes are stored) into a view. You edit in that view (i.e. a rich text editor). We then convert that view back to ENML and save it. This is a really bad design in the sense that if something is rendered differently between clients, you'll see breakage. Think of what happens if you go to Google translate and translate the same sentence back and forth between two languages. It always seems to change just a little bit every time, getting worse and worse. In the case of the bullet issue, the older client and editor is rendering the bullets and then saving them back to ENML in a way that is causing them to be broken on the Windows client when it goes to render the updated ENML. <b1> "another top-level bullet text"
Then, a client would individually decide how it would render a top-level bullet vs. a 2nd level bullet. iOS client might decide to render that as a pretty slider button. The Windows client might render it as a radio button. In general, I think we'd be consistent, but the point is that it offers the flexibility to do that while not changing the actual content. So the hope is when we're done with this work, we'll not only be able to address a lot of these problems that come from the issue with rendering, but we'll be much better suited to apply new features around how we render that content in a better way. Scott, thank you very much for trying to reproduce and for the contextual information. Is there a timeline on the new architecture? Sounds like it should prevent issues like this entirely. 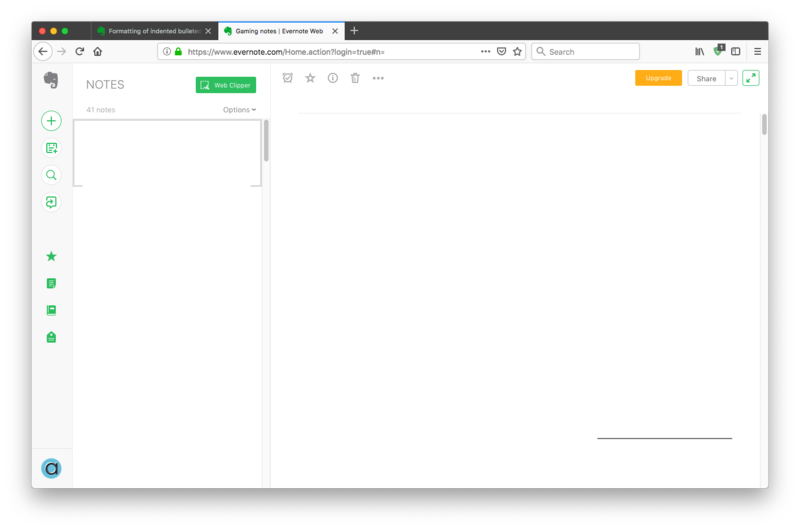 On reproducing the issue: just to clarify, I am using the standard current web client (not "classic" and not "beta") on Firefox 66 with no add-ons, and the mac client version 7.9. I am still able to reproduce. When you say the "old client" are you referring to the current stable web client, or classic? Should we be using the beta instead? Thanks again. I just tried this, and found that Firefox (still) will not run the current Web version; Evernote gives an error message and invites you to click and go back to the "older version" (which is also neither classic nor beta). Could you share a screenshot just so everyone's on the same page? 'Cause if you're using the actual current Web client in Firefox, I want to know how! Runs for me on Firefox, 66.0.1 (64-bit). Slower to start than Brave or Chrome, but seems to work okay once it gets going. FWIW. @xfactoid, that is what I see too (on Windows rather than Mac, FYI). It is the "older version" to which the Evernote error message points if you try to use the "new version" in Firefox. @CalS, I always trust your statements, but (trusting and verifying!) could you share a screenshot showing the current ("new") Web version in Firefox? Or does yours also look like xfactoid's? Yup, though it is actually the Current version (first screen clip). I can go to Settings and switch to Classic. the "older version", clip 2. Interesting, Classic works better on FF than Chrome. On Chrome I couldn't move the list down, on FF I can. @Dave-in-Decatur @CalS: To clarify my statement, the "current" web client would be the "beta" client (as you've referred to it), though I don't believe we label it as "beta" anymore. This is the focus of our engineering efforts. The "older" client is the one from @xfactoid and @CalS's left screenshot. FWIW, I only recently learned that the "classic" interface (@CalS's right screenshot) was still available to customers. That one predates my time at Evernote and I've only ever seen it in cases where we had a bug that led to it. I fully understand that the current web client is still lacking specific features such as stacks, but we are really working to get those into the latest version to have parity with the previous clients. In regards to timelines for the new architecture, I can only state that it's our primary focus at the moment. As our CEO has indicated, it's our main goal in 2019 to try to fix a lot of the core issues in the product that are impacting our customers. A big part of this is fixing the architecture to let us move forward with building the features our customers have long been asking for. Lastly, it's my understanding that support for Firefox in the latest client is imminent. I'm trying to follow-up on the date, as I thought it was actually supposed to go out last week. I'll post a status when I learn more. Just to add some additional clarity (or maybe additional confusion?? ), in a user's Account Summary page, the latest version is referred to as the "beta" version, the older version is called the "current" version, and the oldest version is called the "classic" version. I see the same "older" client by default on both Chrome and Firefox, on Windows and Mac. In my account settings I see these options. Am I understanding correctly that I should be using the "beta version"? Sorry but not quite what I see Scott. There are three versions available to me, two of which appear in settings, the third being the one in use. For me they are classic, current and beta. The images above are from current and classic, not beta. You can't call them different things and expect not to confuse people. Current is not "beta", it is current. Beta is beta. Unless other folks get a different view when using settings. To be sure I took a clip of the three. Notice how the beta has the user icon at the top and current has it at the bottom. Current is more reliable than either of the other two, so that's the advice I give folks, use current, period. Am I missing something? I would not do that. Stick with current. @CalS and @jefito, I see the same things as you in my account page WRT what is "classic," "current," and "beta." I may have confused the terminology in one or more of my earlier posts. As to what anyone should or shouldn't use, I think that depends entirely on what they need from Evernote Web. I use the "beta" because (a) I like the look, including the presence of a Note List; and (b) I don't need to use it for anything it can't do (such as stacks), since I use the Web version only very seldom. It all depends on what one wants from the Web interface. Oh, and also on what your browser supports: Firefox currently doesn't support the beta version (or the beta version doesn't support Firefox), so if that's your browser, you need to use "current" (or "classic" if you want a note list and don't want some other functions, evidently). Classic fails in Chrome when scrolling the note list in list mode. Pretty much makes it unusable. For me anyway. @CalS Thanks for the additional info. I'm going to follow-up with the team on the whole "beta" thing. Also, the "classic" version is only available to those grandfathered into it. New users cannot get to it without a special link. Nobody has touched that code in quite a while. BTW, to my earlier comment regarding Firefox, I unfortunately misspoke. It's Opera support that we enabled last Friday. Firefox support is still pending the other changes we're working on with the editor. You are welcome. Just to maybe add to the confusion, my memory has Beta as a look and feel thing that was released but lacked function, then Current was released, sort of superseded whatever was happening with Beta, but Beta never got mothballed. Part of what makes me think this is that the look and feel of Current seems more EN's direction than the look and feel of Beta. But I could be way wrong on this. End of the day, best just to know if Beta actually is a beta or an artifact at this point. I have responded to too many posts where folks can't get things done with Beta because of some functional miss. Funny thing is I only use the web version maybe twice a month. @CalS Just to follow-up and clarify. As noted, the classic client is REALLY old and only those accounts that are old enough to have actually used it are able to access it via a setting that grandfathered them into having a link to it. When I go to the latest client link I am dropped in to the "previous web client", regardless of platform. As far as I can recall, I have never opted into or out of the beta/latest client. Is this intended behavior? If the "beta" client is no longer considered "beta", should it not be the default? Good to know, easy to see how we get so confused. As you no doubt know, this latest client (Beta) does not support stacks and does not replicate all shortcuts (surely not function to be deprecated), and is a couple of orders of magnitude slower than the Current client. Maybe that's why it is still called Beta. Not picking on you @Scott T., you are definitely part of the solution. Just in my view, some clear communication from EN would be helpful re the web versioning strategy. And the logic behind deploying a beta version sans all the intended functionality, to the public in any case. Can't follow the logic on that one. My understanding is that stacks is coming very soon to the latest client. For shortcuts, I'm pretty sure I've filed a ticket for the missing functionality and some of it was intended. Can you provide details on what specific shortcuts are missing so that I can make sure to raise those as an issue? Total transparency: I'm not convinced we (at least in the past) had a clear versioning strategy. This is something we're working to fix now. In fact, I got an update on my inquiry about calling the latest client "beta", and they actually want to leave that until we've met feature parity with existing clients. I believe the preferred client is controlled by a preference setting. It shouldn't exist if you have never visited the newer client. The second link in my post above included a parameter that might have set that. I included it on purpose to force the old client to load. Depending on which you visited, that may have set the pref. Regardless, you can switch between the two clients by opening the profile menu. That's the menu that opens when you click on your profile picture. There's an option to switch to the newer or older client. That should set the preference setting accordingly. As I noted to @CalS, I think we're aware of the confusion between the versions. We're trying to fix that. Can you provide details on what specific shortcuts are missing so that I can make sure to raise those as an issue? All of my shortcuts aren't available in Beta (8 of 21 appear). They are in Current. A good thing. They might want to put a warning label on Beta, tell folks to use Current if they want a full feature set. Thanks for the insights. FYI, there's a good summary of what is and isn't working in the latest ("beta") Web version in Help & Learning: https://help.evernote.com/hc/en-us/articles/209006027. Plus no way to create ribbon left panel or light left panel. And for the life of me, I can't find the tags for a note anywhere on the screen in the Beta? That and the note count is 6000 less than it should be on Beta. So Current it is for me. Enough of this rabbit hole, off to other things. And for the life of me, I can't find the tags for a note anywhere on the screen in the Beta? Tags in the beta are shown along the bottom of the note, on the left side. At least that's what I see, on Chrome for Windows. Wonder why I didn't see that, I must have been well trained, last place I would have thought to look would be at the bottom of the screen. Geez, why oh why move the tags position. Must have had to make space for the big a$$ed share button. I first started observing it, and reported it, about a year ago.